Have you heard the news? Space has become Big Business. Currently evaluated at around $350 billion, studies done by investment banks such as Goldman Sachs, Morgan Stanley and Bank of America Merrill Lynch predict that the global space economy could grow to $1 trillion or more in the 2040s. The signs that space has gone mainstream are in plain sight. Stephen Colbert and Neil deGrasse Tyson are riding around New York City in a Mars rover... Iridium Communications is planning to launch its final Iridium NEXT satellite using a flight-proven Falcon 9 Block 5 booster… Elon Musk's rocket company is sending a Japanese billionaire and eight artists around the moon… The news making headlines in the social media are only the tip of the iceberg. Below the waterline, the space industry (appropriately called “New Space” - to distinguish it from the 20thcentury “old space”, which was mostly the domain of governments) is a place teeming with exuberance and ideas. Reminiscent of the euphoria of the dot-com years, yet grounded in the reality that space endeavors require massive amounts of money to take off, the space industry is a realm where visionary start-ups rub shoulders with defense industry behemoths, cutting-edge aerospace engineering outfits meet venture capital firms, and Internet billionaires exchange ideas with Middle-East moguls. A bee-hive of space travel companies (Virgin Galactic, SpaceX, BlueOrigin, Space adventures and others), space delivery companies (SpaceX, Northrop Grumman, Boeing), satellite operators (OneWeb, Iridium, Airbus, Lockheed Martin), space mining companies (Planetary Resources, Deep Space Industries, iSpace), national space agencies, research centers and international organizations compete both for funding and for exposure at large industry events such as the annual International Astronautical Congress (IAC). Countries such as New Zealand and Australia are positioning for the lucrative rocket launch market, leverage their remote location as a means to avoid schedule conflicts with commercial aviation flights. Japan has placed miniature hopping rovers on Asteroid Ryugu, a Near-Earth Asteroid whose current mining value as evaluated by Planetary Resources is speculated to be $82.76 billion. Even the tiny nation-state of Luxembourg is in for a piece of the action, as it lays down a comprehensive legislative and regulatory framework for space exploration and space resource mining and building an innovation hub replete with tax incentives for space start-ups. While launching telecommunication satellites into orbit and delivering supplies (and in the future astronauts) to the International Space Station are, for the time being, the most lucrative segments of the space industry, the ultimate goal for many of the space companies today is space mining - mining the moon, the asteroids, and other more distant planets, for their natural resources. According to the research done so far, the moon has vast reservoirs of ice at the poles, as well as metals, Rare Earth elements, Helium 3 and other gases. Minerals can also be mined from an asteroid or spent comet, then used in space for construction materials or taken back to Earth. These include gold, iridium, silver, platinum, tungsten and others for transport back to Earth; iron, cobalt, manganese, molybdenum, nickel, aluminum, and titanium could be used for made-in-space construction. The momentum is real, so much so that the U.S. Geological Survey is starting to earnestly evaluate space resources for future mining and investigate what benefits may exist in tapping extraterrestrial water, minerals and metals. As exciting as space mining sounds, mining operations in outer space require sustainable habitats for space workers and scientists. The International Space Station, in low-Earth orbit, serves as humanity's farthest outpost in space right now, but companies such as Space Systems Loral, Space Adventures, and United Launch Alliance are working on how to repurpose spent upper stages of Atlas V rockets as crew habitats. Those stages, which carry fuel and are ejected during the launch process, could attach to the International Space Station or could be used alone. Thinking on an even larger scale, entrepreneurs such as Robert Bigelow (owner of Budget Suites of America) are developing inflatable space habitats capable of operating as space stations, hotels, labs, and even as modular components of a lunar base. Permanent settlement solutions are not far behind; NASA, the European Space Agency and countries such as China are devising space habitat options that deal with the challenges of radiation, microgravity, dust, and vacuum, as well as overcrowding and isolation. What do all these plans of future space exploration and habitation have in common? Alas, none of them have a prayer without a reliable supply chain! A reliable space supply chain will be required to support the continuous move of people, science, supplies and materials between Earth and locales in outer space, at the lowest possible operational cost and risk. The space supply chain will be the key to making space operations sustainable, and the good news is – business architects and engineers are already busy at work designing it. Organizations such as the European Space Agency and NASA, the Indian Space Research Organisation and the China Aerospace Industry Corporation (CASC) are working in tandem with academic and research institutions like MIT to design efficient logistics and supply chain management frameworks for space exploration. For example, MIT’s Space Logistics Project[i]aims to “develop an integrated capability for guiding the development of the interplanetary supply chain that will be required to enable sustainable space exploration of the Earth-Moon-Mars system and beyond.” The architecture built by the project members is speculative to some extent, but grounded in the design of terrestrial supply chains for high-risk, extreme-condition use cases such as Arctic/Antarctic exploration and offshore oil and gas exploration which offer analogies for space logistics. The initial design was enriched by modeling the move of cargo through a network of user-defined outer space locations, and was complemented with probabilistic supply/demand modeling by type of cargo to predict likely cargo requirements. 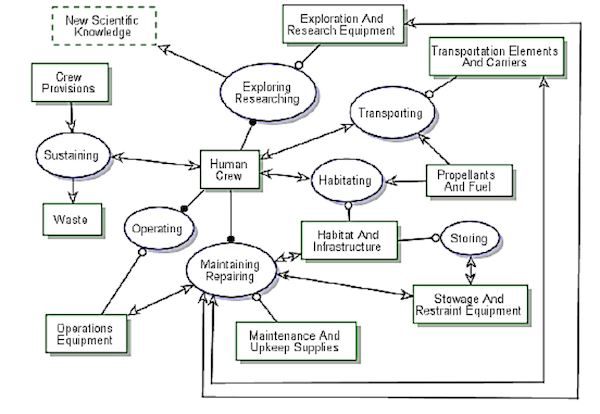 One of the first findings of MIT’s project was that new Classes of Supply (COS) were required for interplanetary exploration logistics, for example for classifying propellants, habitation infrastructure, or surface exploration equipment, which classes were then integrated into a taxonomy and mapped against the current taxonomy used by NATO, the U.S. Military and the International Space Station (CCART) for validation. The new taxonomy considered first the process/function the supplies would support in the context of space exploration, and used that process/function as the common denominator for a class of supplies. This analysis resulted into an Object-Process Diagram (see below) depicting all the processes and the “objects” (both inputs – such as supplies, as well as outputs – such as waste) inherent in a generic space exploration system. The Human Crewexplores the outer space to generate Scientific Knowledge. To get to their destination, the Human Crewrequires Transportingvia Transportation Elements and Carriers(such as spacecraft), which require Propellants and Fuels. The Human Crew’s survival depends on having safe and reliable shelter during their outer space journey and exploration (Habitating), which requires Habitat and Infrastructurecomponents, including storage (Stowage and Restraint Equipment). Their survival also depends on Sustainingthemselves by consuming the Crew Provisions, which in turn generates Waste. 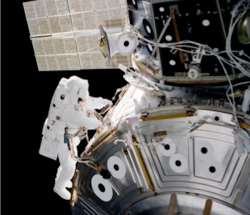 To perform their mission (Operating), the Human Crewrequires Operations Equipment(rovers, scientific equipment, space suits), which, just like the Habitat and Infrastructure, have to be maintained and repaired if necessary (Maintaining and Repairing). As shown in the diagram, ten classes of objects (each representing a high-level grouping of the primary objects used in the exploration system - equipment, materials, supplies, provisions and so forth) are needed to describe the universe of material items required for space exploration. While the diagram illustrates the main processes and objects in a space exploration system, the same analysis can be applied to more complex uses cases, such as space tourism, space mining, space debris collection operation, or terraforming. For a space supply chain supporting such use cases to be viable, all of the pertinent processes and objects must be accounted for in its business architecture, and be further overlaid with delivery logistics defined and calibrated in such a way that the right things are delivered at the right time, at the right place, and for the lowest possible cost. What the space supply chain example demonstrates is that in the New Space age, market demand for innovative technologies and business models offers unique opportunities to enterprising and future-oriented business architects. Business architects have an important role to play in new market, but in order to thrive, business architects will need to (literally) turn their gaze upon the stars and dream of a path for the human civilization to extend its reach into outer space. 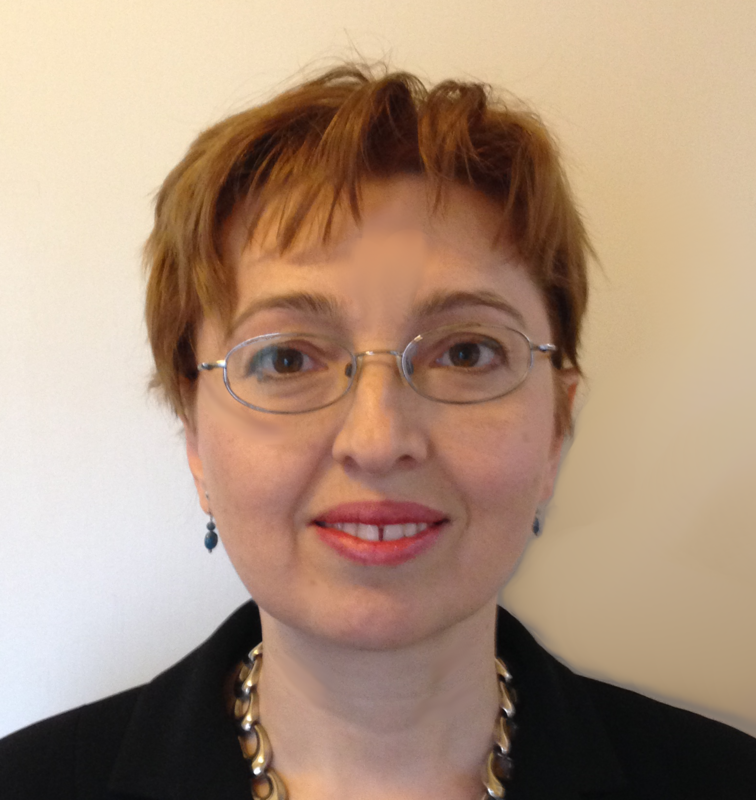 Business architects as futurists? It might just be the next step in the evolution of Business Architecture!